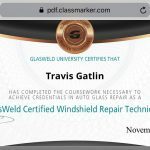 Proper installation of your auto glass windshield is very important. The windshield does many things for your safety. 1) It gives the vehicle structural support in case of a roll over; 2) In the event of a head on collision, it keeps you or your passengers inside the vehicle; and 3) it keeps weather, bugs and debris from coming into the vehicle. AZ Mobile Glass knows that having just one of your fleet vehicles off the road due to a cracked windshield or broken door or back glass can have significant affects on your business. AZ Mobile Glass will accommodate all fleet accounts with low prices, on-site mobile service that is convenient with your driver, and will work weekends or after hours, if necessary, to help get all your vehicles back on the road. Most people are not aware that they have the right to have their vehicles repaired at the facility of their choice regardless of what they may otherwise believe. Sometimes people are misled into the notion that if they bring their vehicle to a shop other than a “preferred shop” or “DRP” shop provided by their insurance company, their vehicle will not be guaranteed by the insurance company. 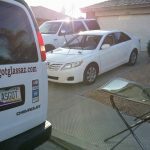 AZ Mobile Glass, LLC guarantees EVERY repair. We don’t rely on insurance companies to guarantee our work. Besides, insurance companies are not in business to guarantee our work. That’s our job! You pay your insurance premiums, so why shouldn’t you choose AZ Mobile Glass as your auto glass replacement company. AZ Mobile Glass is accepted by all insurance companies. 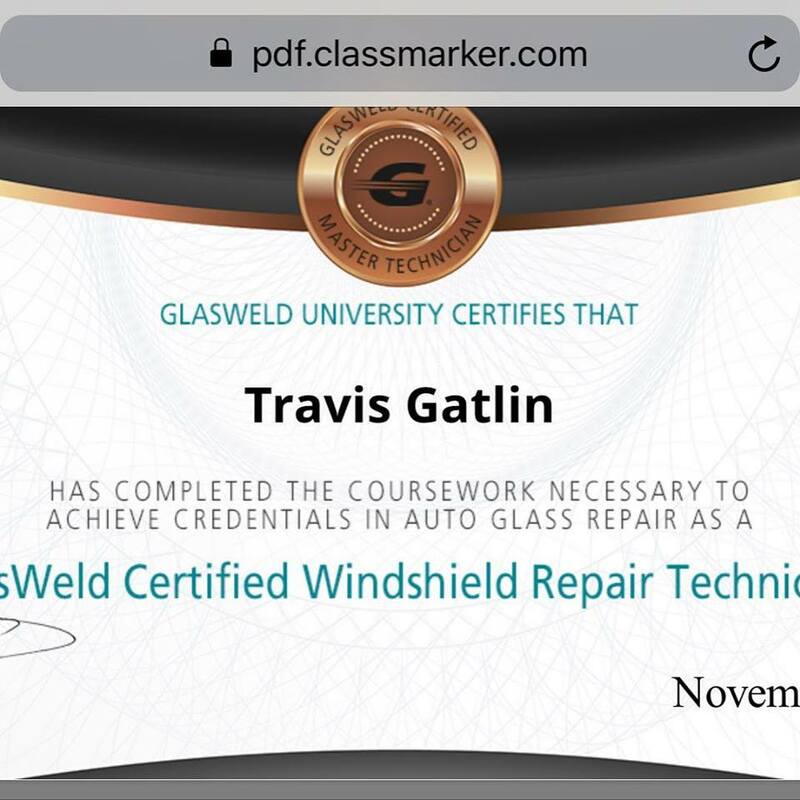 You deserve the finest service and the best product for your windshield replacement or repair. With AZ Mobile Glass, you will rest assured that you are receiving the best quality and highest level or service you can find. We use all original equipment and OEM glass to suit your quality and your budget. Our technicians have over 23 years of experience doing auto glass repair and installations. They are professional and respect your vehicle as if it were their own. When you need your windshield repaired or replaced, don’t take any chances. 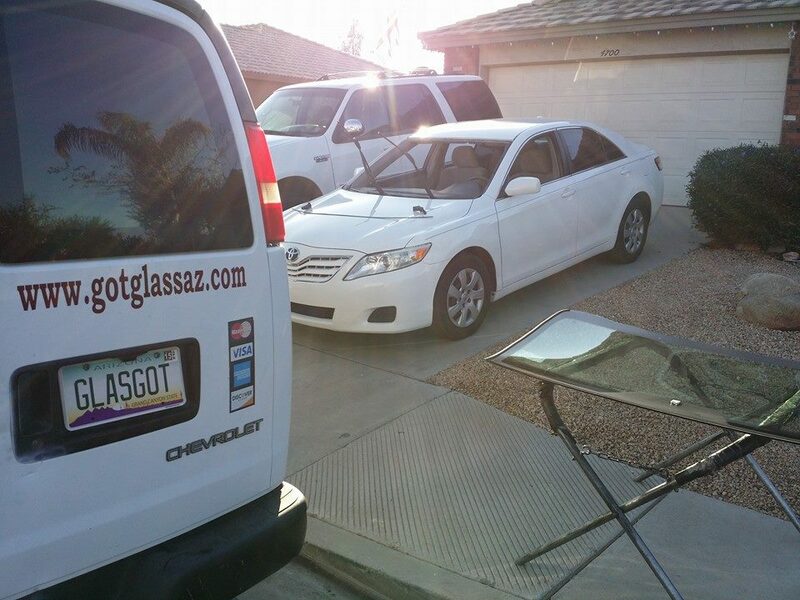 Your vehicle deserves AZ Mobile Glass. this company is on time a very friendly. They showed up right on time and the insatll was very good. Thanks again for everything! Ive had wonderful experience with this company and have also enjoyed the great customer service! Its very helpful to have a company come to you at work or home! I refer all my friends and family and nobody has ever had a bad experience. Thank You!